Tau 2 and Quark 2 now feature radiometry and enhanced image processing. Curtiss-Wright Controls Embedded Computing has announced support for the new Xilinx(r) Virtex(r)-6 FPGAs and targeted design platforms via its family of high sampling rate, high bandwidth FPGA Mezzanine Card (FMC/VITA 57) modules. These include the new ADC512, a 3GS/s 8-bit, dual channel analog-to-digital converter (ADC) card, and new quad channel ADC513, a 1.5 GS/s 8-bit, analog-to-digital converter (ADC) card, able to support up to 1,500MS/s data throughput per channel. These new FMC cards eliminate data bottlenecks by supporting bandwidths in excess of 6B/s with direct low latency connections to host FPGAs such as a Virtex-6. This helps system designers optimize and increase DSP subsystem performance. OpenSystems Media to Launch "Embedded Channels"
Curtiss-Wright Controls Embedded has introduced its highest resolution FPGA Mezzanine Card (FMC/VITA 57) module, the new ADC511, a 400MS/s 14-bit, dual channel analog-to-digital converter (ADC) card. Designed for use in demanding DSP applications such as signal intelligence (SIGINT), electronic counter measures (ECM), and radar, the ADC511 speeds and simplifies the integration of FPGAs into embedded system design by providing high bandwidth I/O direct to the host card's FPGAs. 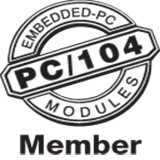 The module eliminates data bottlenecks to increase DSP subsystem performance by routing high-speed ADC I/O directly to the host board's FPGAs via the FMC connector. KCL rolls out Sundance PXI Express (PXIe) solutions for DSP/FPGA multiprocessor systems at NI Conference. SPR Robust vocoder is suitable ideally for digital Private Mobile Radio (dPMR), thanks to high speech quality and robustness, to low computing complexity and memory usage and to very attractive price.